Video: 2019 Rock Hall Recap! It’s official. 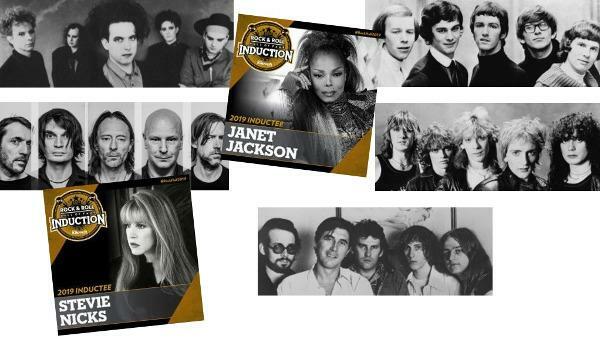 The Rock & Roll Hall Of Fame 2019 recently inducted Def Leppard, Radiohead, Stevie Nicks, Janet Jackson, Roxy Music, The Zombies & The Cure. And most of the inductees performed night-of the ceremony. Stevie Nicks acceptance speech was 12 minutes long! As you might imagine, it touched on most of her career, focusing on 1979 when she decides to pursue a career outside of her band. You’d think that if more than 2/5th of Radiohead showed up, they wouldn’t have been inducted second on the night. Gotta love this, singer Tom Yorke said he couldn’t make the ceremony because he needed to be in Paris for a piano performance nine days later. Roxy Music hadn’t played together since disbanded in 2011, but after their speech they banged out “In Every Dream Home a Heartache”, “Out of the Blue”, “Love Is The Drug”, “More Than This” and “Avalon”. Oddly, The Cure performed with the band’s current line up, with the ex-members having to walk off stage while the band started to play. The Cure’s set of “Shake Dog Shake”, “A Forest”, “Lovesong”, “Just Like Heaven” and “Boys Don’t Cry”. Janet Jackson could have been inducted long ago (she has nine #1 albums). The same can be said for The Zombies. They’ve been around since the 60s. Now, which bands SHOULD BE in the Rock Hall but have somehow been overlooked?